Homewood Road Church stands on the corner of Homewood Road and Sandpit Lane. We are a Church of all ages, backgrounds and experiences seeking and sharing God’s love and purpose in our local community and throughout the world. Services will take place every Sunday morning at 11 am from January 2019 and on several Sunday evenings between September and June at 6.30 pm. See "What's On" for details. In addition to this, the Church premises are well used by many local groups for a wide range of activities. 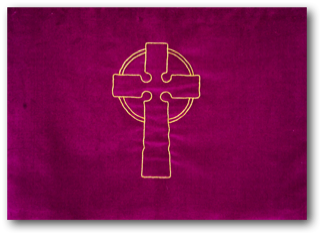 Historically, United Reformed Churches are a union of English Presbyterian and the Congregational Churches in England, Scotland and Wales. In practice, the church membership, through its Elders, has the responsibility for the vision and administration of the church under God’s guidance. The Minister and Elders provide pastoral care for church members, friends and associates. The first service of worship for our congregation was in November 1941. Meetings for worship on the current site began in 1950 and the current church building was opened in 1964. The building was extended in 1990. 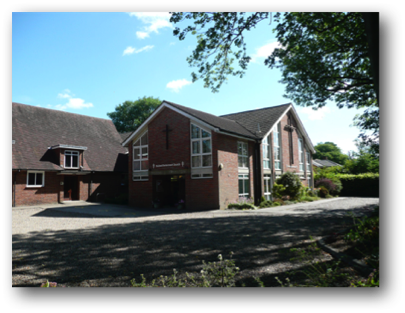 The congregation have been members of the United Reformed Church since 5th October 1972, when there was a national union of the Presbyterian Church of England and the Congregational Church in England and Wales, forming the United Reformed Church in England and Wales. In 1981 the Re-Formed Association of Churches of Christ joined the United Reformed Church in England and Wales, and in 2000 the Congregational Union of Scotland joined the union, to form the United Reformed Church. There are 37 churches in the CTSA grouping, giving the opportunity for all denominations to share faith, friendship, fellowship and forums. For information about current events, visit www.ctstalbans.org.uk. The group share worship on a regular basis, 5-6 times each year, as well as marking such events as Christian Aid Week, One World Week, The Week of Prayer for Christian Unity and Lent. There are also occasional social gatherings. These activities enable us to come together and share our faith with those from other traditions, valuing our unity and diversity.